The University of The Bahamas, (UB), The Inter-American Development Bank (IDB), Blockgeeks, and The Caribbean Blockchain Alliance (CBA), came together to provide a comprehensive blockchain developers course for 25 Bahamians on November 30 – December 1, 2018. Inclusive of a coding bootcamp that utilised live online training with facilitators, students participated in a weekend-long hackathon and final exam at the end of this blockchain course. Students who successfully complete the course will receive a certificate that is recorded on a blockchain. “We are pleased to collaborate with organisations such as CBA and UB, in helping young professionals become proficient in blockchain technology, and understand the importance of equipping citizens with the tools and knowledge required to remain on the cutting edge,” said Michael Nelson, Chief of Operations, IDB. There is a huge opportunity to use this technology to improve public and private services in this country. The goal of this initiative is to increase the awareness and capacity of blockchain development in The Bahamas. “Blockchain technology is seen as the next step in internet and financial technology, in what many describe as Web 3.0. There is a huge opportunity to use this technology to improve public and private services in this country. In addition, competent blockchain developers are in high demand, in an industry that almost guarantees access to a high-income job or potential project,” added Stefen Deleveaux, founder of CBA. The Caribbean Blockchain Alliance is a non-governmental organisation dedicated to promoting the use and adoption of blockchain technology in the Caribbean region, through education and advocacy. “One of our goals is to build a cohort, and eventually multiple cohorts, of proficient blockchain developers. This is primarily because the technology itself will be extremely important in terms of software infrastructure,” he further explained. “In the years to come, developers will be at the forefront of everything that’s happening with this technology. It will definitely open up opportunities for skilled workers and high skilled jobs,” Deleveaux said. CBA’s first goal is to have a large cohort of developers in the country, and then eventually in the region. 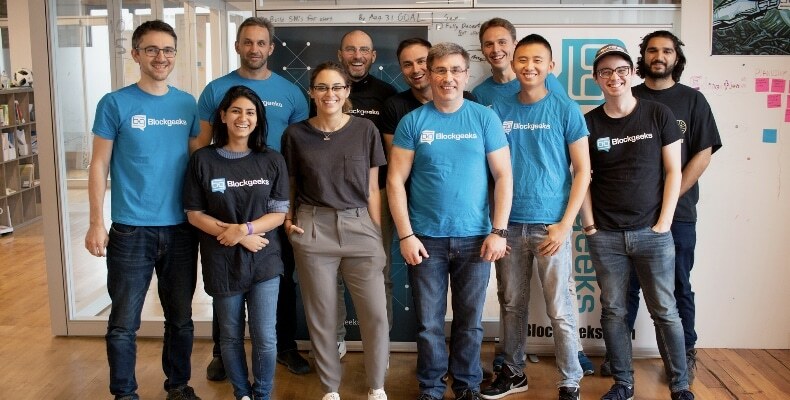 “Our mission is to help spread blockchain internationally, and our partnership with IDB will help make the Bahamas the blockchain hub of the Caribbean”, said Ameer Rosic, CEO of Blockgeeks. Participants expressed interest through an open call flyer and were selected based on specific coding skill sets required, for example, active software developers.